NEW YORK (CNS) — “Ask and it will be given to you; seek and you will find; knock and the door will be opened to you.” Few people can ever have taken those words of Jesus, recorded in the Gospel of Matthew, quite as literally as Joyce Smith, the real-life figure at the heart of the faith-affirming drama “Breakthrough” (Fox 2000). 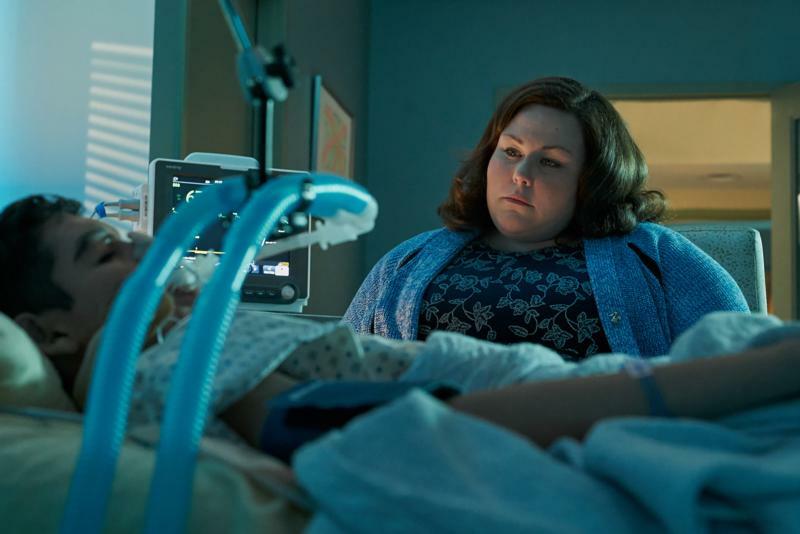 One winter day in 2015, Joyce (Chrissy Metz) received word that her 14-year-old adoptive son, John (Marcel Ruiz), was in the emergency room after falling through the icy surface of a lake in their hometown of St. Charles, Missouri. Arriving at the hospital, she found the medical staff attending to John on the point of giving up hope after the better part of an hour spent trying to revive him. He had been under the water for more than 15 minutes. Left alone to say goodbye, Joyce refused to accept that John was doomed to die, and her desperate prayers had a startling impact on his seemingly hopeless prognosis. “Breakthrough” not only recounts apparently miraculous events but places them in the context of the various relationships in Joyce’s life. As she keeps vigil at John’s bedside, for instance, Joyce gradually reconciles with her pastor, Jason Noble (Topher Grace), with whom she had previously been feuding. Her husband, Brian (Josh Lucas), at first shows emotional weakness by refusing to enter his son’s hospital room. Later, though, he offers Joyce needed guidance when her strong-willed determination to see John overcome the odds translates into bullying those responsible for his care. Throughout their ordeal, Brian struggles to share Joyce’s unshakable belief in a positive outcome. John himself has some room for growth since early scenes have shown him to be emotionally withdrawn and in an adolescent funk. His troubles can ultimately be traced, Grant Nieporte’s script suggests, to the wounding realization, accurate or otherwise, that his birth mother didn’t want him. Director Roxann Dawson’s adaptation of Smith’s 2017 memoir “The Impossible” (written with Ginger Kolbaba) benefits from Metz’s driven performance and will have sympathetic viewers cheering her character on all the way. Her story makes for tense but gratifying entertainment for all but the youngest moviegoers. The film contains a perilous situation and mature themes. The Catholic News Service classification is A-II — adults and adolescents. The Motion Picture Association of America rating is PG — parental guidance suggested. Some material may not be suitable for children.